With the affiiation of Hacettepe University, our faculty established on September 20, 1976, under the name of Kayseri Business Administration Faculty. The preparation of infrastructure and the creation of the faculty member was started as of May 3, 1977, afer the appointment of Prof. Dr. Abdurrahman Çaycı to the deanship. 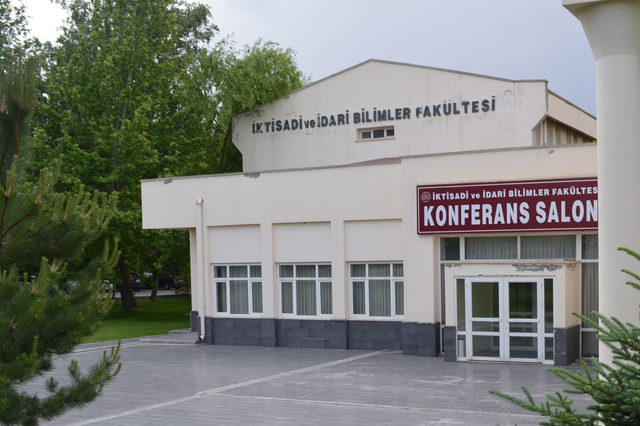 Kayseri Business Faculty, together Faculty of Medicine, constituted the nucleus of Kayseri University after separated from Hacettepe University on November 7, 1978. 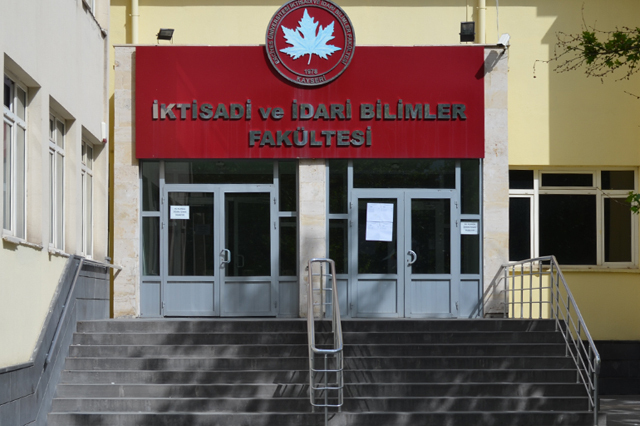 On March 28, 1983, Kayseri Business Faculty was incorporated into the Erciyes University, replacing Kayseri University, with its new name of Faculty of Economics and Administrative Sciences. Since January 7, 1980 our faculty, which started education and training with one department, 2 lecturers, 2 instructer and 75 students in buildings owned by Faculty of Medicine, serves to almost 2911 day- time and 2060 evening education of undergraduate students. Furthermore, 627 graduate students are educated as master and Phd degree in the faculty. 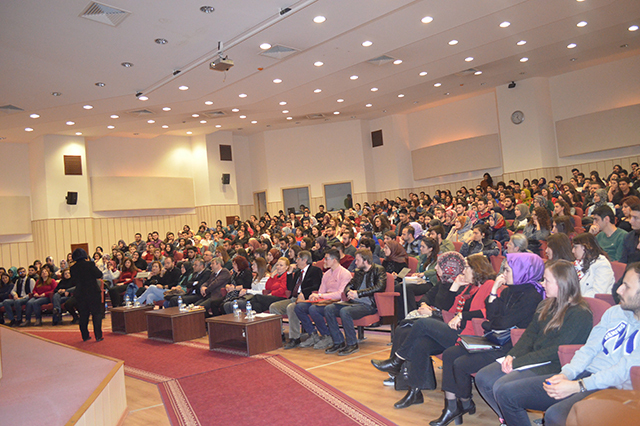 173 students of undergreduates and 15 students of graduates are foreign students. The level of the faculty which will be reached in the long run depends generally on how and which steps were taken in the foundation of the faculty. That’s why we memorialize our first dean Prof. Dr. Abdurrahman Çaycı with gratitude. We thank to everyone who contributes to improve our faculty in both academic and administrative way. with our students who are conscious of the fact that the administration is always considerate towards their complaints, demands and opinions, who believe that they are being well educated, who are well aware of their strengths and weaknesses, who can think critically rather than memorize and readily accept whatever facts and knowledge they are formally taught, who can, through their intellectual curiosity and professional skills, identify and find out the correct solutions to problems, last but not least, who know that learning is a life long process in which they must take part permanently. to establish close cooperation with the regional industry. As we take into consideration academic personel as a measure, we can say that our faculty takes a place in the most prestigious universities in Anatolia. There are totally 84 lecturers in our faculty : 18 professors, 11 associate professors, 20 assistant professors and 25 research assistants. 2 of our lecturers are foreign. Majority of our lecturers completed their undergradute, postgraduate and PHD education in different countries such as USA, England and Germany. There is a detailed information about this topic in our web site. We have management, economics, public finance, international relations and politics and public administration departments. They are all active. There are evening education in management, economics and public finance department. You can find course description and content for each lecture whether obligatory or selective in our web site. Furthermore, we have 9 postgraduate program (master with and without thesis and doctora ) and one of them is in English. Besides obligatory lectures, many selective lectures which provide information about the field they want to expertise to students exist. The lectures for english and computer among selective courses carry weight that needs to be underlined. Our students starts their university education after they took 800 hours english lecture in preparatory class of foreign language high school. On condition that being successful in prep class, they can improve their ability of understanding and comprehanding with almost 450 hours lecture in english during their four- year education. In addition, particular vocational lectures are in English ant the total time of these kind of vocational lectures is 500 hours. Consequently, the total time of lectures given in English amounts to 950 hours. Besides lectures in English, we give importance to computer based lecturrs. Under the condition that each student can benefit from one computer in our computer laboratories. We have given computer lectures for four years. The total time of computer lectures which covers basic and advanced skills is 270 hours in 4 years. 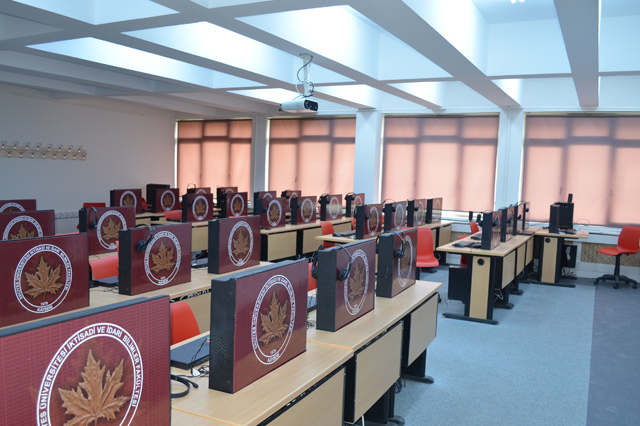 Furthermore, students have opportunity to utilize from computer labs which open permanently in order to study individually. Moreover, English prepartory class exists in management and economics department and students have to take at least 16 lectures in English in order to graduate. Since 2005-2006 academic year, thanks to lateral branch we started, each student have the opportunity to complete a different department as well as his/her own department. We have summer school. Our students can take courses at our summer school or they can make use of different universities’ summer programmes. students from different universities can register our summer school as well. 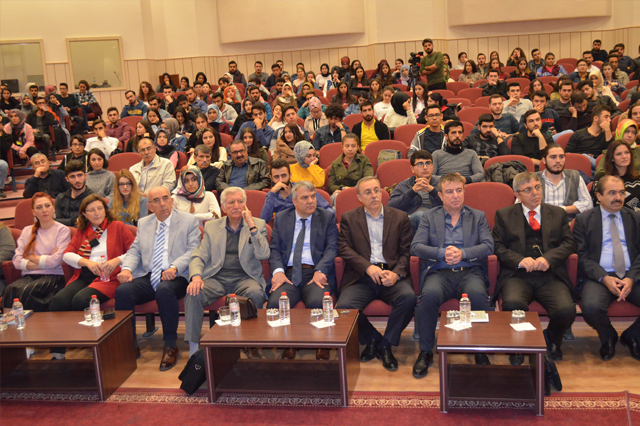 Since 2004-2005 academic year, we have organized a meeting with the students community which composed of the students who have the highest average grade. The needs, desires and thoughts mentioned in these meetings set light to faculty administration in order to make better our education and training activities. We establish a data processing center to use information technology in highest level. FEAS IT Center is a fully equipped unit where computer repair and installation processes (computer hospital) are carried out and various other information processing projects are applied, in addition to all other maintenance activities that will enable the computer to survive. This center is backed by a group of students who have been selected each year by a special talent exam. These students who receive private lessons in areas where they want to specialize by our instructors receive a computer center certificate at the end of their four years in this group. In 2006, we became an Authorized Testing Center for the European Computer Driving License (ECDL) that people all over the world use to prove computer knowledge. As it is known, ECDL is the first and only certification program recognized and adopted by the European Union, Unesco and UNDP. We did our first ECDL exams on May 13, 2006. 4 students have received the ECDL Beginner Certificate as a result of these exams. Students who have studied at our faculty have been sent to countries such as Portugal, Spain, Germany, Bulgaria, Hungary, Poland, South Korea in the framework of student exchange programs such as ERASMUS, FARABI, MEVLANA. In addition, guest students are accepted from partner universities abroad under the same programs. A great number of students graduate each year from the Faculty of Economics and Administrative Sciences in our country. While searching for qualified graduates on the one hand, on the other hand, a very important part of graduates face serious difficulties in finding a job. As such, it is extremely important for our students to graduate as professionals who are both prepared for professional care, confident in themselves, accustomed to teamwork, and able to adapt easily to their work life. That is why we attach importance to supporting social activities for our students as well as organizing certified seminar programs. We believe that the most effective way of improving our students' personal abilities is to ensure that they are involved in the organization of social activities. Students who enter the team work with the people to express themselves in the best way to communicate, to generate ideas, to solve problems, to gain the habit of sharing their burdens and blessings in a sense of responsibility, and even more importantly, to experience the satisfaction of producing positive work with their teams. We are glad to see that our students who have experienced these experiences are more successful in business life after graduation. We mobilize our possibilities for the communities our students have established among themselves or under the leadership of a teaching staff. A great deal of social activities such as technical trips, conferences, seminars, panels, symposiums, festivals, career days, debates, book fairs, interviews with artists and charity campaigns that we have been making for years have been misunderstood by our young people who are members of these communities or student clubs in our university. In our faculty there is the Center for African Economic and Social Research and Research as a research center. This research and application center is a unit established to conduct scientific and applied researches and studies and to carry out activities to reach these aims. 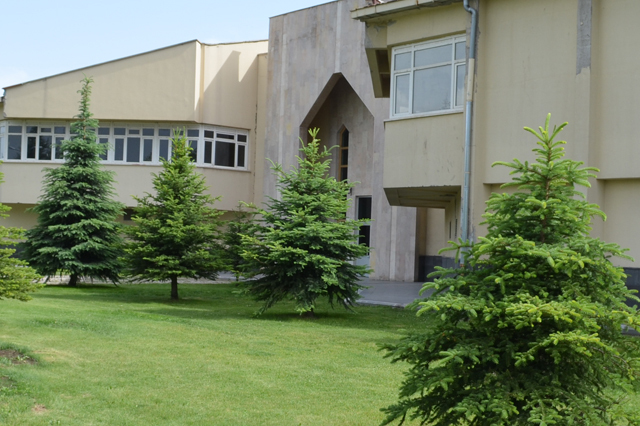 There is Kayseri Research and Application Center (KAYHAM) in our faculty. 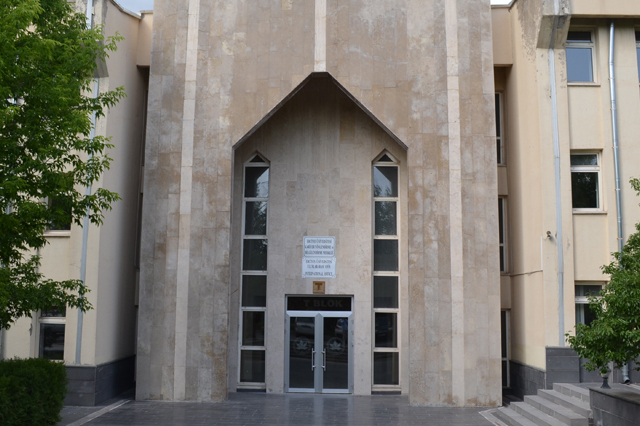 KAYHAM is an information center that provides documentation, library and statistics database services for researchers in Kayseri. 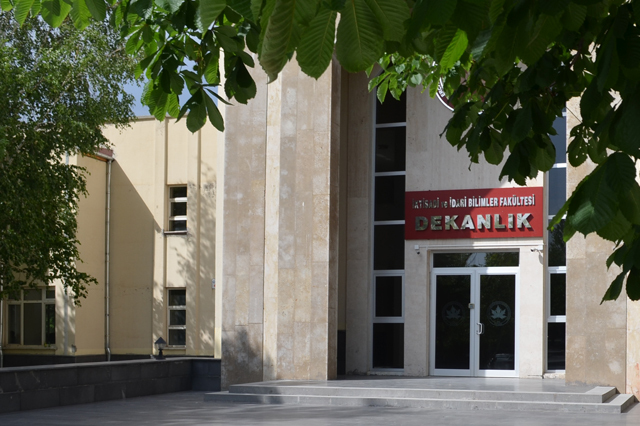 For this purpose; Kayseri Library has been formed by gathering the works written up to date about Kayseri within Kayseri within the scope of the information bank and librarianship activities. 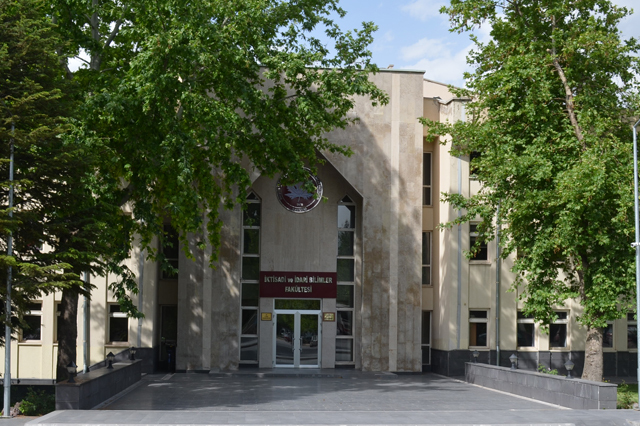 On the other hand, with the Kayseri Statistics Database, statistical database service is provided for research on Kayseri and the university. Our slogan is “Towards Good and Better”.